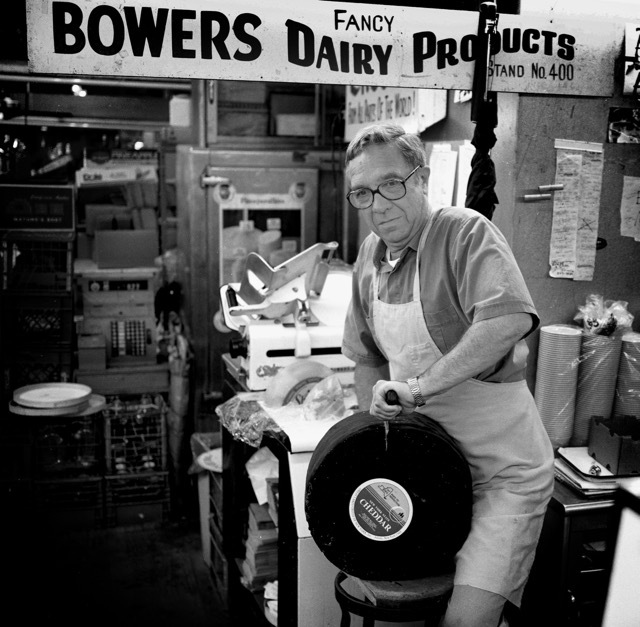 Since 1962, Bowers Fancy Dairy Products has been a mainstay at the Market. We wonder how many cheese "tastes" have been extended to appreciative customers in that time. Many remember Ray's father, Harris Bowers (The Cheese Man) with his trademark straw Panama hat. Ray has been operating the stand for 14 years. Son Michael joined in 1976 to work his way through school. Michael will soon take charge of the 2-ton vats of New York State Cheddar and the 62-pound cubes of butter and the rest of the fine dairy products of this familar stand. Assurdedly, the third generation of Bowers will continue the tradtion of great service and friendliness that we Hillites have come to expect.